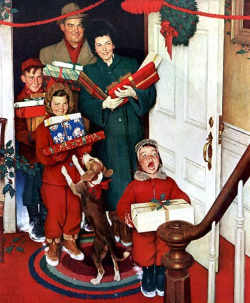 November through early January there are several major holidays celebrated in the US. Most of them have some kind of religious context but that shouldn’t hold back the non-religious. Here are four holiday tips for the non-religious. This entry was posted in Fun, Humanist Living, Humanist Movement, Intro to Humanism and tagged Christmas, family, Festivus, holidays, HumanLight, non-religious on December 17, 2015 by Doug. Freethought music, in my view, tends to sound like warmed over folk music most of the time, so when a singer or group comes along that sounds like something you would hear on a commercial radio station, I get really happy. Drew Stedman and The Cosmic Nothings is such a group. They are releasing their debut self-titled EP and I love the music. Even though the lyrics and themes are specifically about religious dissent and freethought, it sounds polished and modern. Give them a listen. This entry was posted in Fun, Humanist Movement and tagged band, Drew Stedman And The Cosmic Nothings, freethought, music on July 25, 2013 by Doug. This week is ‘SSA Week’: a fundraiser for the student freethought group Secular Student Alliance (SSA). During the week bloggers and others online will be posting special content to encourage donations. The SSA does special work and needs your support to continue and expand its outreach to students across the country. This entry was posted in Fun, Humanist Movement and tagged atheism, college, freethought, fundraiser, public schools, Secular Student Alliance, SSA on April 29, 2013 by Doug. Being that Humanism is a non-theistic philosophy some people think that celebrating holidays like Christmas is something we either can’t or don’t want to do. That is false. Many holidays have strong links to religion but one can strip those links away and enjoy the core parts such as spending time with families. There are even some alternative celebrations if you even want to distance oneself from all the religious aspects of a holiday. This entry was posted in Fun, Humanist Living, Humanist Movement and tagged alternatives, Christmas, Festivus, holidays, HumanLight, non-theism, secular holidays on December 13, 2012 by Doug. Last Saturday June 11th, the Humanist Community of Central Ohio held its summer picnic at the Battelle Darby Creek Metro Park near Columbus. Here is a short video I took showing the good time we had. This is typical of our group. We’ve been a group since 1980. The food was good and we had WAY too many desserts. Along with a strong number of Columbus people we also had visitors from Dayton and Mansfield. Activities included walking on stilts, hiking to see the new Bison, and making S’mores. 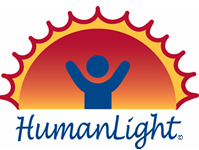 For more info on the group check out the Humanist Community of Central Ohio’s website. This entry was posted in Fun, Humanist Movement and tagged freethought, HCCO, Humanist Community of Central Ohio, Ohio, picnic, summer on June 18, 2011 by Doug.